Very Good. Size: 19 to 25 cm tall, Octavo, (8vo); 471 pages 1st class post to the UK, Airmail worldwide. Robust packaging. 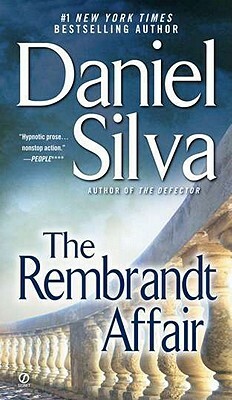 Though not my favorite Silva book it is still fast paced and interesting, Rembrandt is the most forged artist for at least two reasons. Everyone knows him even the least educated criminals. He produced a great deal lots of sketches etc The use of the painting in this book is fascinating If you enjoyed Woman in Gold, you will like the Rembrandt Affair. I have read every one of his books!! I highly recommend them! !